Acer has launched a set of four new Chromebooks, two 13″ models with impressive specs, and two 15″ models with so-so specs. The new models are the Acer Chromebook 13, Acer Chromebook Spin 13, Acer Chromebook 15, and the Acer Chromebook Spin 15. As the name somewhat suggests, the two Spin models are 2-in-1 designs where you can fold the screen back onto the device to go into tablet mode. The 13″ Chromebooks sport a 2256 x 1504 IPS display with a 3:2 aspect ratio. They are powered by the Intel Core i3 or i5 processors and comes with a minimum of 8GB of RAM. For the Chromebook 13, you get 32GB of Storage. For the Chromebook Spin 13, you can get either 8GB or 16GB of RAM which is coupled up with 64GB or 128GB of storage depending on the configuration. Moving to the Chromebook 15 models from Acer, on these devices you have a 15.6″ display that renders 1920 x 1080. They are powered by Celeron or Pentium processors, depending on your configuration. Like the 13″ models, you have 8GB of RAM and either 32GB or 64GB of storage depending on the configuration. For all four of the new Acer Chromebooks, you have the same port configurations. That is, you have two USB 3.1 Type-C ports, a USB-A 3.0 port, and a MicroSD card slot for additional storage. Pricing for the Chromebook 13 will start at $649 while the Chromebook Spin 13 will be $749. Sales for these Chromebooks will begin in September. As for the Chromebook 15, it will be priced at $349 while the Chromebook Spin 15 will be pegged at $449. 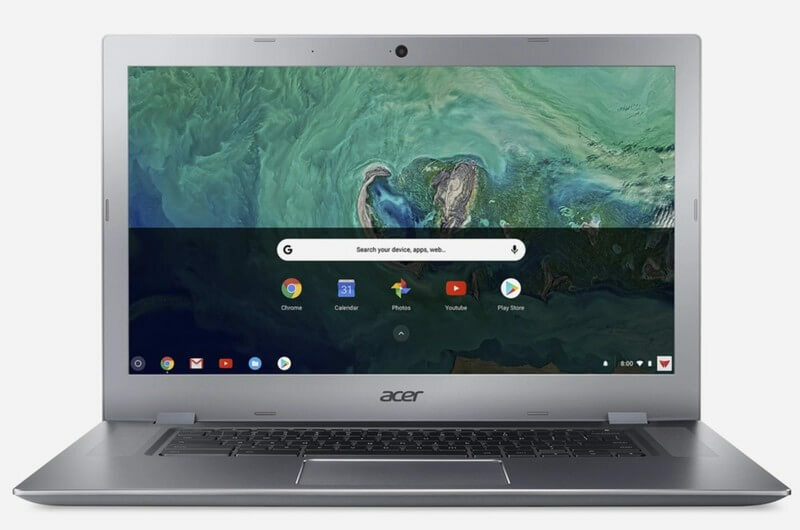 As for pricing and availability, Acer has confirmed that the Chromebook 13 will start at $649.99 while the Chromebook Spin 13 will be $749.99. Sales for both machines will begin in the U.S. starting in September.